Elizabeth Schilling is Smart Growth America’s Director of Finance and Administration. She takes care of the organization’s day-to-day bookkeeping and project administration and supports project and grants managers. Prior to this role, Elizabeth served as Smart Growth America’s Founding Board Treasurer and Secretary from 2002 to 2005. She also served as the Deputy Director of the Local Leaders Council, and as Senior Policy Manager. Elizabeth’s approach to creating more livable communities has been shaped by work for the private sector, non-profit sector and for the public sector at all levels of government. She served as the Public Information Officer to Maryland’s Secretary of Planning under Governor Parris N. Glendening and as a Legislative Aide to Congressman Earl Blumenauer (D, OR-3). She helped to develop the U.S. Green Building Council’s rating system for neighborhoods. 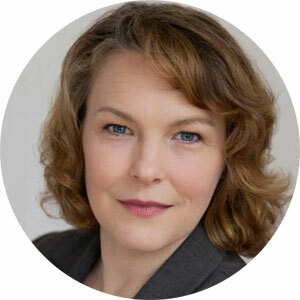 From 2002 to 2005, she served as the Executive Director of the Growth Management Leadership Alliance, a national network of three-dozen smart growth advocacy organizations in thirty states and British Columbia, Canada. Elizabeth holds a Master in Public Policy from the Kennedy School of Government and a Bachelor of Science in Social Anthropology from Harvard College. Elizabeth can be reached at eschilling [at] smartgrowthamerica [dot] org.